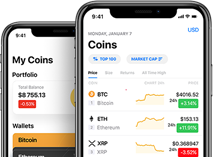 WINCOIN (WC), which is known for its blockchain-based platform which its future development trends and values are also expected to grow and expand in time. The circulation of WC asset are fundamentally reinforced by the strong merchant of lifestyle ecosystem and backed by phenomenal loyal supporters’ from all around the globe. Want to share with all any event about WINCOIN? 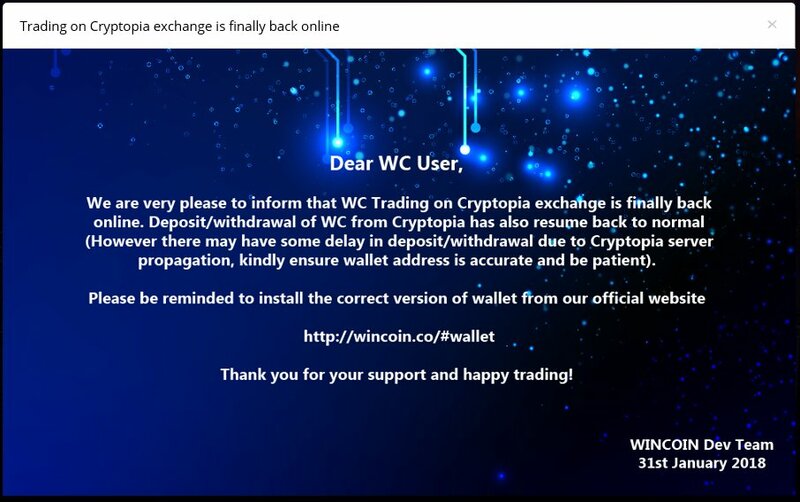 We are pleased to inform @Cryptopia_NZ has finally activated WC trade. We had work tirelessly behind the scene to ensure all user assets are safe. Took us some time we appreciate the patient.